Camden Belfield died in July 2008 after touching a light pole at Bartonville Park in Peoria Illinois. The wiring was insufficient and not properly grounded according to an investigation of the incident. It is most unfortunate that 8 year old Camden Belfield died due to inadequate safety measures for the light pole. The incident happened while Camden was playing tag with friends at approximately 9 p.m. at night on July 20, 2008 when he came in contact with the wooden light pole. Apparently, the light pole and its wiring had been deficient since the year it was installed in 1994. 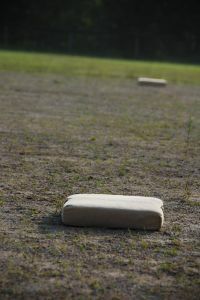 The school district owned the property and leased it out to the Limestone Girls Softball Association for its use. A lawsuit was later filed for the wrongful death of Camden Belfield. As child injury lawyers / attorneys, we have handled eletrocution cases in past involving children. If a school, playground, business, or government knows or has reason to know that children will be in the area, the property owner has a duty to put safety precautions in place to prevent harm or injury to a child caused by electrocution. In Camden Belfield’s case, even an unknowing adult could have been electrocuted by the light pole. Typically, young children do not appreciate the dangers of electricity whether it is in the form of a wire, light pole, generator, transformer, or other equipment. Safety should be a primary concern when constructing and maintaining any electrical equipment. Proper safety measures and precautions saves lives. In many cases, it takes a tragedy like the electrocution and wrongful death Camden Belfield for a city, county, State, business or private property owner to repair or remedy dangerous or hazardous areas. You can read more about the Camden Belfield incident at Illinois 8 Year Old Dies from Electrocution at Softball Park.